I am starting to think that Luis Severino simply plays at a higher level than anyone else. If there was a league higher than Major League Baseball, he would have already graduated. I remember being so frustrated in 2016 when Sevy couldn’t buy a win as a starter. I was among many who felt that his future might be better served in the bullpen. Thank God I am not a baseball scout. Severino plays with confidence but that does not begin to equate to the level of confidence he gives us as fans when he takes the mound. I remember the Summer of ’78 when Ron Guidry dominated the opposition (25-3, 1.74 ERA) and represented almost a guaranteed win every time he pitched. There have been some good pitching seasons by other pitchers since then but I don’t think I’ve had the confidence in any pitchers like I did Gator that summer until now. The fact that Severino is homegrown and not a product of free agency or trade makes it even better. I am very proud of the pitcher Severino has become and look forward to his exciting years ahead. A day after Jonathan Loaisiga took a no-hitter into the sixth inning, Severino completely shut down the Phillies offense. Sevy (12-2) owned the strike zone and toyed with the Phillies hitters. He may have started to tire late but he gave the Yankees seven strong scoreless innings, scattering six hits and did not walk a batter. He had nine strikeouts to increase his season total to 132 (seventh best in MLB). If Severino is not chosen as the AL Starter for the All-Star Game, it will be a travesty. He has clearly outpitched the two usual suspects (Chris Sale and Corey Kluber) and has three more wins than A.J. Hinch’s own stud, Justin Verlander. 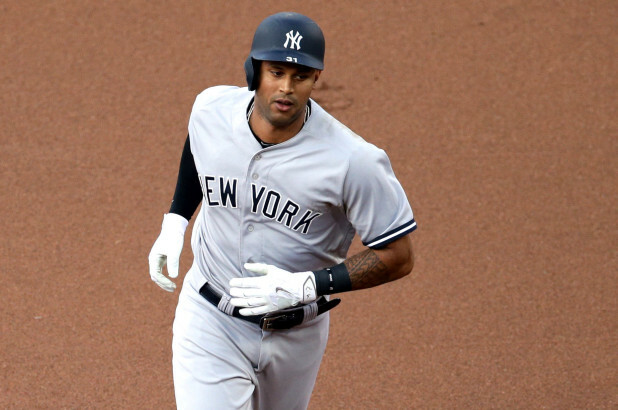 The day started right when Aaron Hicks led off Tuesday’s game with a homer over the center field wall against Phillies starter Jake Arrieta. The Yankees extended their lead to 4-0 in the third inning, thanks to a two-run single by Gleyber Torres which was immediately followed by Greg Bird’s RBI single. Austin Romine, promoted to full-time starter for the next three or four weeks, opened the fourth inning with a double to deep left center. Sevy was the next batter and although it was anticipated that he’d be the first out, he did take a couple of good hacks before striking out. Rather than being an easy out, he battled and it paid off when Arrieta thew a wild pitch to advance Romine to third. Even though Sevy struck out, I felt his at-bat was productive. Aaron Hicks took advantage of Romine’s presence on third with a deep fly to right to score the runner. 5-0, Yankees. 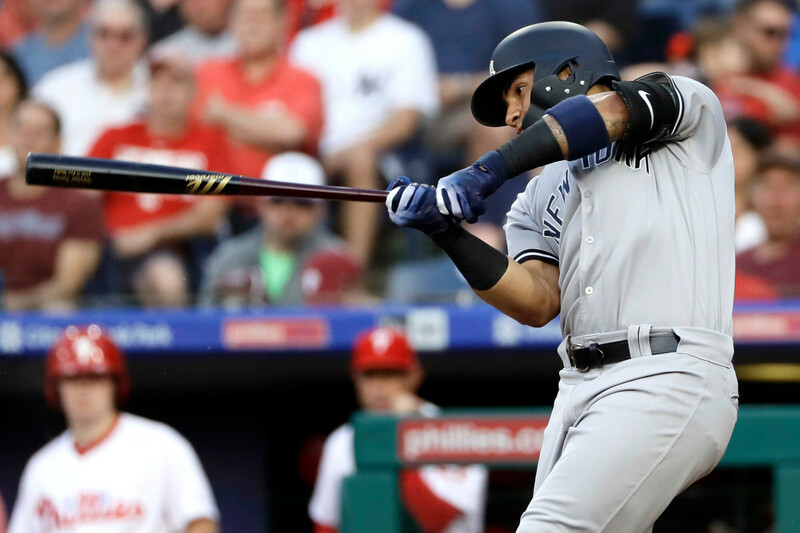 Regardless of what happens today, the Yankees have won their series with the Phillies which helps overcome the weekend sweep by the Tampa Bay Rays. After the game, Phillies manager Gabe Kapler said that Severino was “as dirty as you possibly could be”. Agreed and it’s quite alright by me. I am really hopeful Sevy is throwing like this when he makes his next start against the Boston Red Sox. The Yankees (52-25) maintained their half-game lead on the Red Sox (53-27). The Sox had an easy time with Mike Trout and the Los Angeles Angels, winning 9-1 at Fenway Park behind David Price. Don’t look now but the Rays are hot. Fresh off their sweep of the Yankees, they’ve taken the first two games of their series with the Washington Nationals. Yesterday, Nathan Eovaldi and the Rays beat Max Scherzer and the Nats, 1-0. Nasty Nate is looking good. The Rays have won five in a row and have closed the gap with the Yankees to fourteen games. Ha! They’re not going anywhere but if the Rays win today, they’ll be back to .500. Not bad for a team that looked like a mess in the preseason. 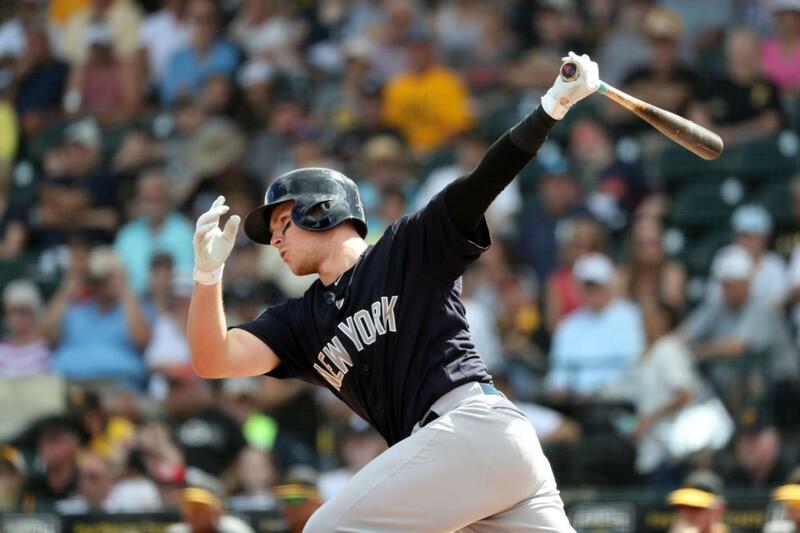 Brandon Drury has cooled off at Triple A with only two hits in his last seven games but I remain hopeful that he’ll be back in the Bronx soon. He played first base again yesterday for the second time in five days. Aaron Boone was quoted yesterday as saying Drury at first was not on the front burner, but from my perspective, the versatility certainly helps. I remain a fan of Drury and I’d prefer to see him play for the Yankees as opposed to being part of a July trade for pitching. Why do so many non-Yankees fans try to sell the idea of a Gleyber Torres-for-Jacob deGrom trade? Look, I’d love to have deGrom on the Yankees, but there’s no way that I would trade Torres for him. With Torres, we have second base locked up for the next decade (or more) with a player that should make a few All-Star teams. Pitchers are too fragile. deGrom is great but not at the cost of Torres. Down the road in about five years when deGrom is trying to reinvent himself as an older pitcher, Torres will still be a superstar in his mid-20’s. Another former Yankee was thrown on the scrap heap this week when the San Diego Padres designated reliever Tyler Webb for assignment. He’s one of those guys I always wanted to succeed but for whatever reason it has never happened for him. Hopefully he’ll find better luck with his next organization. If not, maybe he can play cards with Chase Headley, Rob Refsnyder and Jesus Montero. Although I was very confident yesterday thanks to Luis Severino, today is “not-so-much”. The Phillies stand a very good chance of taking the series finale since the Yankees will be throwing out Luis Cessa to make the spot start in order to push CC Sabathia to the Red Sox series. The Phillies will start Zach Eflin (5-2, 3.44 ERA). Advantage Phillies. I really wish that I could bring myself to like Cessa as a starter but I just can’t do it. Oh well, with the Yankees offense, it’s always possible that Cessa could win despite himself. The baseball offseason is always interesting. In November, when the Hot Stove League open, there is more talk and speculation than real action. There is the occasional free agent signing, like Marlon Byrd to the Philadelphia Phillies, but for the most part, it’s the most boring part of the winter. Baseball fans get excited as the baseball winter meeting approach in early December. The ‘name’ free agents come off the board and there are a few major trades as teams look to improve their rosters for the coming year. Then, in January and early February, things go quiet again until the excitement of pitchers and catchers reporting for spring training begin to fill the air. The key is what teams do in December. Doing something versus doing nothing can be the difference in an invigorated fan base. With the Boston Red Sox fresh off a championship season, the Yankees and their fans need something to be excited about. Hope needs to be restored in the Yankees Universe. The Steinbrenner family have an enormous responsibility of the owners of baseball’s most storied and valued franchise. Sure, it is their right to do nothing and cut salaries if they so choose, but it is not good for baseball. MLB needs a successful Yankees franchise as much as the fan base demands a winner. The unresolved Alex Rodriguez situation casts an ominous shadow over the team. I believe the Yankees should proceed as if A-Rod will not be a member of the 2014 team but that’s easy for me to say. 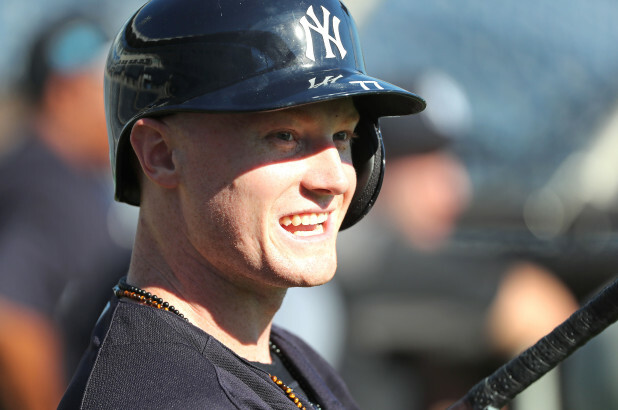 The Yankees have to be prepared for a scenario that allows baseball’s most vile player to return to the field in 2014. Personally, I look forward to the day A-Rod turns in his pinstripes for the final time. I do not expect the Yankees to go out and land a premier third baseman like Evan Longoria but they need more than they had last year. I respect Kevin Youkilis but his best years have passed by and at this point, he is too much of an injury risk to re-sign. I heard the rumors the Yankees had talked with the St Louis Cardinals about David Freese but I don’t think that would have been the solution. It’s too bad that former number one draft pick Eric Duncan didn’t work out as this would have been his prime opportunity to take third if he had been successful and not released. But still, there are Scott Brosius-type third basemen that can be found. After years of knowing the back end of the bullpen was secure, the Yankees have uncertainty. The heir apparent to the great Mariano Rivera is top set up man David Robertson. However, there is risk. When Mo was lost for the season in 2012, Robertson failed in his brief audition as closer before Rafael Soriano took the role and ran with it. I like Robertson as the key 8th inning guy but I am not convinced that translates to 9th inning success. I really do not want an aged option like Joe Nathan as I would prefer younger arms. My hope is for Robertson to succeed but there does need to be a safety net in case it doesn’t work out. I am looking forward to key bullpen roles for guys like Dellin Betances, Preston Claiborne, and Adam Warren. 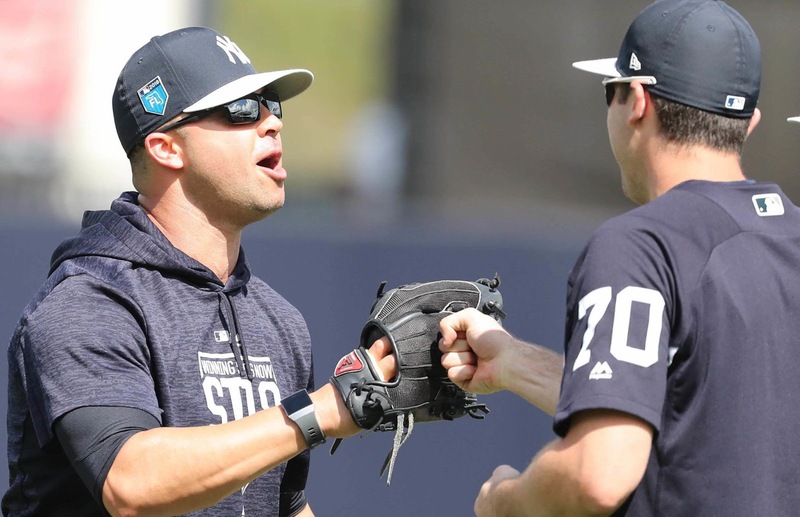 With the right moves this winter, the Yankees bullpen should be a strength even if we no longer get to see #42 warming up. I do remember the sense of some uncertainty when Mariano Rivera replaced John Wetteland and that turned out well. Granted, David Robertson will never be Mariano Rivera but he can be successful in his own right. With the right bridge from the starters to his late inning arrival, he can be successful. The perceived success or failure of the Yankees’ offseason will be tied to a single event…whether or not they re-sign second baseman Robinson Cano. While that’s a huge part of the 2014 equation, the true testament will be how the team bolsters the starting rotation behind CC Sabathia and Ivan Nova. Nevertheless, I hope the Yankees can retain Cano even if the player has the desire to go for top dollar regardless of who cuts the checks. It is hard to get excited about potential names like Ricky Nolasco. I remain hopeful Hiroki Kuroda returns for one more year and Michael Pineda is finally able to fulfill the promise that brought him to New York. It’s hard to speculate who I would want added to the team as there is no possibility for an acquisition of David Price or Felix Hernandez. 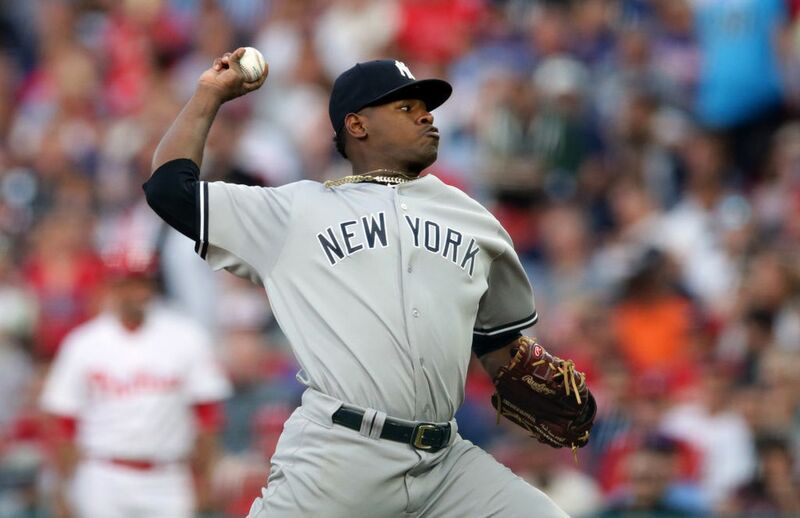 As Pineda has shown, arms carry great risk. I have liked free agent Bronson Arroyo but he does not exactly fit the ‘younger arm’ mold. Hal Steinbrenner, the message is simple…excite us! Signed, Yankees fans. I am not going to lie. I am not holding my breath in anticipation of the Yankees making the play-offs in October. It’s hard to have great faith and confidence in a team that is relying upon a binding agent made up of low budget, past their prime ballplayers. No offense to Ichiro Suzuki, Vernon Wells, Lyle Overbay, Alfonso Soriano, and others, but this team would have looked substantially better in 2003 than 2013. This is why I have mixed feelings about the Yankees being “buyers” at the trading deadline. Even if…they still do not have the horses to advance very deeply in the play-offs. Recent years have shown the Detroit Tigers own the Yankees and New York has not done anything to put themselves on a level playing field with the Bankrupt City. Please do not get me wrong. I have enjoyed watching the return of Alfonso Soriano. After a non-existent bat in his first two games back, he homered and knocked in the game winner in his third game. 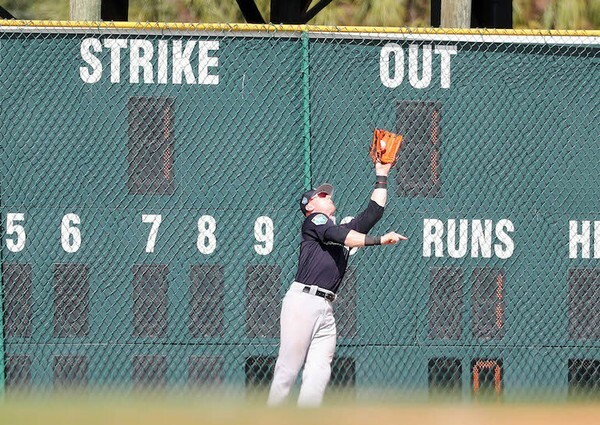 He is an improvement in left field. I am not sure how far out Curtis Granderson is from returning, but Soriano is better than what the Yankees were rolling out every day. Soriano has been a professional throughout his career. I remember how much he loved being the Yankees’ second baseman, and when there was talk of the Yankees moving him to the outfield, he expressed some displeasure. Of course, he moved on to other teams and they did exactly that (moved him to the outfield). So now he is back and is embracing left field and the occasional turn at DH. The nice thing about Soriano is that there is no “breaking in” period. He knows how to play in the Bronx and he has the added bonus of being a fan favorite from the start. The Soriano trade does show what a mistake it was to sign future Hall of Famer Ichiro Suzuki to a two year deal. I am not sure if the Yankees will re-sign Granderson or not, but there is a potential crowd in the outfield. Given Granderson’s horrific contract year, the odds are probably better that he stays in New York than if he had a repeat of his 2012 season. Sounds like the book is finally going to be thrown at Alex Rodriguez. I am glad. I would be very disappointed if he only received the first-timer’s 50 game suspension. He needs to lose a season at the very least and if I had my way, the rest of his major league career. If A-Rod never puts on a Yankees uniform again, it will be too soon. I truly hope that I’ve seen the last of #13 in pinstripes. I am not sure what to make of CC Sabathia this year. Very ordinary to say the least. Meanwhile, Hiroki Kuroda, who I always thought of as a #3 starter for the Los Angeles Dodgers, has been stellar. As I am typing this post, I see that the Boston Red Sox have acquired Chicago White Sox starting pitcher Jake Peavy. Good move by Boston. I worry about the health of Peavy but when he’s right, he’s dangerous. Earlier rumors had the Sox in on Cliff Lee which I thought would have been a mistake as Lee is clearly on the downside of a once magnificent career. The Phillies asking price is too great for Lee, so I am very hopeful that the Yankees, having previously been burned by Lee, stay out of the picture. But Boston’s acquisition of Peavy gives them the leg up over the Yankees. I think the Tampa Bay Rays will win the division as Boston still has a few too many question marks, but I’d be surprised if the Sox do not make the play-offs. I can still remember watching Jake Peavy’s major league debut in San Diego against the Yankees. He showed that he was a major league caliber pitcher that day. I guess he’ll get a few more shots at his debut opponent in the coming months. Albert Pujols’ lost 2013 season shows me why it is not worth paying an aging superstar outrageous sums of money. Hey, throw Mark Teixeira into that mix. How much better off would the Yankees have been had they let both Alex Rodriguez and Mark Teixeira go to the Boston Red Sox? The trading deadline is always a fun time of year. I am not sure that the Yankees will surface with any more transactions before tomorrow (particularly given the lack of interest in Phil Hughes) but it’s always fun to speculate. But at the end of the day, I am not willing to give up on any promising young talent and I know that GM Brian Cashman feels the same way. If the Yankees had a shot at a World Series title this year, I’d say ‘screw it, let’s go the championship!’ and let go quality talent to achieve that end. However, this is not a World Series Yankees team. Sorry, Ichiro, I know you were once great but those days have passed. So, hang on to the talent and let’s build for 2014. I guess I’ll echo what life is like for a Chicago Cubs fan: “We’ll get ‘em next year!”. After getting swept by the Baltimore Orioles, it was a relief to see the team head to Minneapolis for a four-game set against the Minnesota Twins. I didn’t expect the Yankees to sweep the Twins, but I had hoped for at least 2 or 3 wins in the Twin City. Fortunately, the Yankees did better, taking all four games from the Twins. Most believe the Yankees have held it together with smoke and mirrors this season, but I am hardly one to disagree. The Yanks have gotten good production from guys who other teams were glad to vacate. Today’s hero was Vernon Wells, and clearly the Toronto Blue Jays and Los Angeles Angels were glad to move him on when they did. Lyle Overbay is a good guy but he’s not exactly going to suddenly emerge with his best season ever. I think those days are far behind him. With no return of Mark Teixeira this year, the Yankees need to find a stronger first base solution. Unfortunately, I think there are too many holes to fill and I’d certainly hate to see the Yankees give up quality prospects in trades that will probably still result in no October success for the Yankees. As always, I am hopeful the team proves me wrong, but clearly, the odds are against them. Congratulations to Joe Girardi, CC Sabathia and Max Scherzer. For Girardi, he won his 600th game earlier this week. Not bad for a guy who lasted only one season as the manager for the then Florida Marlins. CC achieved success through his 200th win, and Max Scherzer, an opponent’s “ace” gets kudos for starting the season 13-0. When a staff is led by the great Justin Verlander, you certainly do not expect anyone to challenge his tag as the staff ace. But with Verlander’s struggles this year and Scherzer’s legendary start, Verlander is no better than #2 on the Detroit Tigers’ staff this year. As for CC, it just doesn’t seem that long ago he was a promising rookie pitching for the Cleveland Indians. Hard to believe that he’s already at 200 wins. Still, it’s a great accomplishment and I hope that we’ll soon be seeing CC win his 250th game in pinstripes. When you hear of possible deadline trades, I have to admit that it’s sad to hear Chase Utley’s name mentioned. He’s been a great Phillie although a bit injury-plagued in recent years. 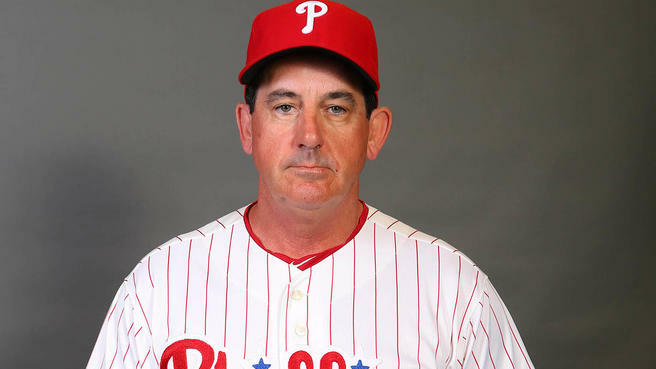 Still, I identify the guy with the Phillies and it would be good to see him play in the City of Brotherly Love for the remainder of his career. Michael Young is another name mentioned and given that he made his name in Arlington, Texas, I’d rather see him moved if the Phillies do anything. I am fairly certain the Yankees will move Joba Chamberlain by the deadline. It would also not surprise me to see Phil Hughes go considering that Michael Pineda should finally be able to make his Yankees pitching debut soon. Ugh, I really dislike the possible return of Alex Rodriguez. Maybe there’s still something in the bat, but I am not a fan and I’d prefer to see Alex as the starting third baseman for some team in Siberia. With Yankee GM Brian Cashman’s recent outburst against A-Rod and Yankee President Randy Levine’s back-pedaling, I am clearly on Team Cashman regarding A-Rod. I am also convinced that this is the final season in pinstripes for free agent-to be Curtis Granderson. His final season has been a disappointment given his extended stays on the DL. Same goes for Andy Pettitte. I think if the team finishes third or lower in the AL East, Andy will no longer have the fire to compete. It’s the thrill of playing October baseball that drives Andy at this point so an unsuccessful season will probably prove to him that it’s time. Speaking of impending departures, I loved the gift the Minnesota Twins gave to Mariano Rivera. The Chair of Broken Dreams. A rocking chair constructed of broken bats. How great was that? Mariano is a living legend, and I am so thankful that I got to watch him pitch for the duration of his Yankees career. This is a guy who could still be a very effective closer in 2014 despite his age, so clearly, he’s going out on top regardless of what the team does. I thought it was a bad decision for the Texas Rangers to sign Manny Ramirez. Yes, I’ve always admired Man-Ram’s ability to hit, but it’s the baggage that goes with the guy that is too much. I guess he is usually on his best behavior during his first year so maybe the Rangers are on to something. But this should be a very short-term relationship. If I were Nolan Ryan, I would not want Manny as part of my strategy for 2014. I saw White House Down today and thought it was very good. Quite predictable, but still, as an action flick, it had all of the right ingredients. Felt a little like Die Hard in the White House but hey, there have been a lot worse movies! I hope everyone has a wonderful 4th of July! Enjoy the fireworks!